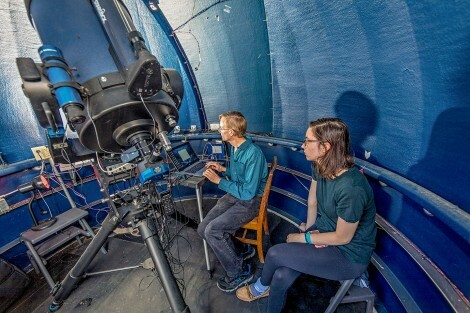 From songbird communication to atomic nuclei, this summer was one for the books – and the microscopes, petri dishes, and pipettes – for Ohio Wesleyan students participating in the University’s annual Summer Science Research Program. Over the course of 10 weeks, 21 OWU students participated in this year’s program, working side by side with faculty mentors from May to July to conduct original research both on and off campus. Seven students from other institutions across the nation traveled to Ohio Wesleyan to participate in the prestigious program as well. 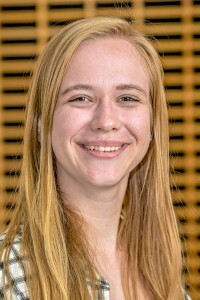 Students will discuss and present their findings during the annual Patricia Belt Conrades Summer Science Research Symposium at noon Sept. 24 in the atrium of Schimmel/Conrades Science Center. Meet some of this year’s SSRP participants and read about their Summer Science Research Program (SSRP) experiences. Landry Cowles ’19 of Louisville, Ohio; Benjamin Arnold ’20 of Tiffin, Ohio; and Maddie Meyer ’20 of Marion, Massachusetts, researched “The Role of miRNA-7 in Neuronal Development” with faculty mentor Suren Ambegaokar, assistant professor of neuroscience and microbiology. Ambegaokar’s research involves neurodegenerative disorders, infectious diseases of the nervous system, and the intersection of the two. 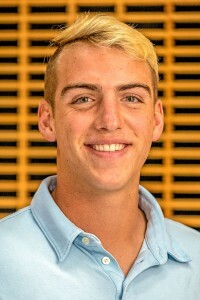 “It has been eye-opening to see the knowledge from my previous courses come together and actually observe the interplay of chemistry, biology, and neuroscience,” says Cowles, a pre-medicine and molecular neuroscience double major and Spanish minor. Arnold says his research has led him to heavily consider pursuing a Ph.D. through a joint program at a medical school that would allow him to not only practice medicine, but also conduct his own research. Meyer, a neuroscience and biochemistry double major, says a major lesson she learned from Dr. Ambegaokar is the importance of communication. After graduation, Meyer hopes to attend graduate school while both Cowles and Arnold plan to attend medical school. Why did these three student-scientists choose OWU? 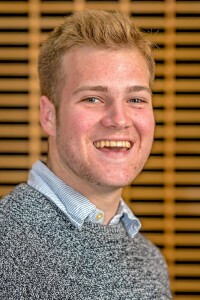 Aidan Shumaker ’20 conducted a study on the “Impacts of Invasive Species on Ecological Processes in the Kraus and Bohannan Nature Preserves.” Shumaker, a microbiology major and computer science and data analytics double minor from Loveland, Ohio, conducted his research under the mentorship of Laurie Anderson, professor of botany-microbiology. 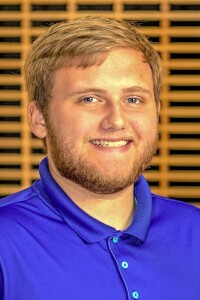 “Working with Dr. Anderson has shown me what it is really like to think in a practical sense in field and laboratory work, including all the processes of how to start a project, obtain funding, and planning out how to perform the tasks that will provide answers,” he says. 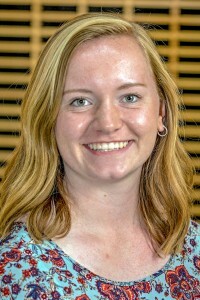 After graduation, Shumaker hopes either to attend graduate school or work with microbiological interactions for an agricultural or medical company. Why did he choose OWU? 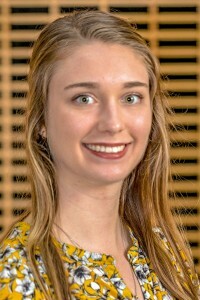 Mickey Rice ’20 of Louisville, Kentucky, and Lexi Lease ’20 of Toledo, Ohio, concentrated research on “The Effects of Video Game Exposure on Cognitive Control.” Rice and Lease, both psychology and neuroscience double majors, worked under the guidance of Kira Bailey, assistant professor of psychology. 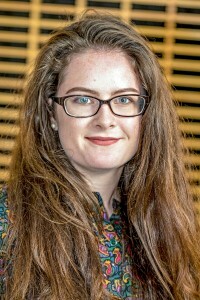 Rice says the process of creating ideas to carrying out an authentic scientific study has sparked her interest in pursuing experimental psychology or clinical neuropsychology in graduate school, an ambition shared by Lease. 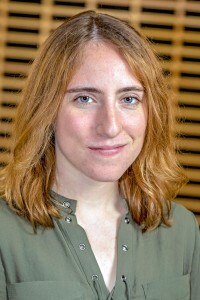 During spring semester, Lease took cognitive neuroscience taught by Bailey. There, she learned the foundations of the biological processes underlying our thoughts and this summer’s research heavily built on concepts gained from the class. “Experiences like the SSRP matter because they allow students to transition what they have learned in the classroom to actual concrete practice,” Lease says. Why did these student-researchers choose to attend OWU? Becca Porter ’20, an English and zoology double major from Washington Grove, Maryland, and Katie Vonderembse ’19, an environmental science major and classics minor from Toledo, Ohio, conducted “The Global Salt Experiment.” They explored how freshwater ecological communities interact internally and environmentally under the mentorship of Amy Downing, professor of zoology. “I’m able to see for myself the ways that human-caused threats, like runoff, can disrupt entire ecosystems and drastically change their composition and viability,” Porter says. 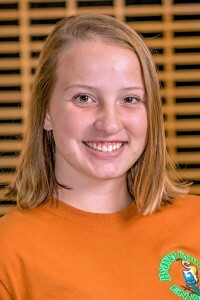 Porter plans a career in marine conservation ecology and says this summer’s experience introduced her to techniques and equipment valuable for her future career. 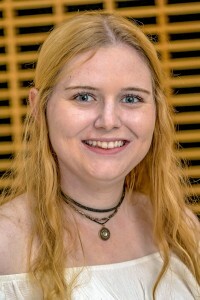 After graduation, Vonderembse plans to pursue an advanced degree in ecology or environmental science, while Porter says she wants to work for a few years before enrolling in graduate school. Why did these student-scientists select OWU? 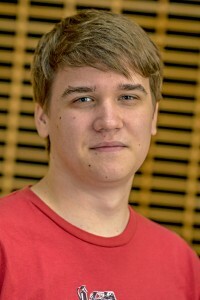 Eugene Kramskoi ’19, a computer science major from Lewis Center, Ohio, researched “Artificial Intelligence for Modern Board Games” under the mentorship of Sean McCulloch, professor of math and computer science. Kramskoi plans to find a career in software development once he graduates. Cailynne Angelo ’20, a pre-professional zoology and sociology/anthropology double major with a chemistry minor, studied the “Stress Response and Immune Function in Female House Wrens.” Joe Brush ’20, a pre-professional zoology major, concentrated on the “Social Modulation of Testosterone and Corticosterone in Two Species of North American Wren.” Both students worked under the guidance of Dustin Reichard, assistant professor of zoology. Angelo, from Monaca, Pennsylvania, says the skills she has gained, including laboratory techniques and procedure, are helping her to prepare for the future. After graduation, Angelo hopes to study healthcare in graduate school, while Brush plans to focus on mixed animal medicine in veterinary school. Why did these future healers choose OWU? Learn more about Ohio Wesleyan’s Summer Science Research Program at www.owu.edu/ssrp.